Many of the behaviors Mohr outlines are easily changed, once the problem, or “hiding strategy” is brought to light. Take for example, the belief that “This before that” is the proven path to success. We don’t need to finish our website before we start on our book, or make this connection before we outline a series of talks. 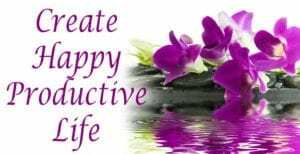 The important thing is to start and then allow things to fall into place. Over-complicating and endless polishing is another area where Mohr sees women struggling unnecessarily. Driven by the compulsion to add element after element to their creation, or trying to fix that one thing or add that one feature before the project can be launched just delays putting the work out into the world. Fear is stopping women from taking their place at the table. As Dr. Frankel points out, many women allow the fear of negative labels to stop them from being appropriately assertive, negotiating for success, pursuing non-traditional careers or even recommending other women for management positions. 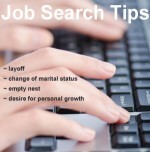 To find out more about Mohr and “hiding strategies” go to Forbes.com. And to read more about what Dr. Frankel, and other Leading Women have to say, pre-order your copy of Leading Women: 20 Influential Women Share Their Secrets to Leadership, Business and Life today. Fear of not being liked is the primary reason women give for not becoming leaders. But Dr. Lois Frankel says that women are confused. Women make phenomenal leaders; they just don’t call themselves leaders. 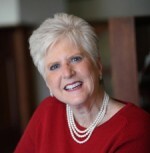 As President of Corporate Coaching International, Lois writes bestselling books, speaks to international groups and convinces women how to overcome obstacles to become a leader. Women have a great track record of leadership. The Red Cross, Planned Parenthood, the PTA and United Way were all founded by women wanting to make a difference. Yet many women allow the fear of negative labels to stop them from being appropriately assertive, negotiating for success, pursuing non-traditional careers or even recommending other women for management positions. Lois says that even though women lead every day, they often think it’s presumptuous to call themselves leaders. While practicing psychotherapy with powerful women in downtown Los Angeles, she found that every one of them failed to see herself as powerful or a leader. However, if you have ever convinced anyone to follow you where you need to go, you are a leader. In fact, Lois says if you have helped a friend leave a harmful relationship or raised a child who is not hooked on drugs, you are a leader. Likable Is Not the Same as Being Nice. Women reportedly didn’t buy Lois’ book, Nice Girls Don’t Get the Corner Office, because they were afraid it would advise them that they couldn’t be nice and be successful. Lois said that nothing is further from the truth. Likability is very important for success. You might follow the old school power and control leader for awhile, but the leader you like will get your loyalty and most productive work. Women are taught they must be nice to be liked. And even if their parents gave them more liberating messages, society is stuck in the same rut with stereotypes that subject women to subservient roles and make words like “feminist” carry a negative label. Lois says that women are natural and necessary leaders and she shares eight key ways for women to step into leadership in her essay for Leading Women: 20 Influential Women Share Their Secrets to Leadership, Business and Life. This inspiring conversation includes Lois’s personal story of how she found business coaching to be the perfect career path for her, before coaching was even a profession. She finds her work to be more about how women should mentor other women and routinely witnesses positive change when women put their skills together to make a difference. Look around the world and tell me what you see. I see war; I see poverty; I see famine; I see corporate greed and we’re not leading the world. When women come together, they fix the problem. That’s why we need more women’s voices at the table. That’s why we need far more empowered leading women. Check out more of Dr. Lois’s Frankel’s wisdom for women leaders at her website, in her books and learn more about her on her author’s page for Leading Women. As women continue to struggle to break the glass ceiling in their professions, female clergy say some women are coming up against a stained-glass ceiling as they answer the call to work in ministry. When New York City marketing professional Cheryl Benton started feeling ignored by mass marketing, she put her foot down. Then she started a little hobby to empower women who were feeling as invisible as she was. 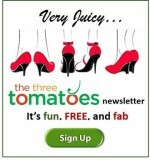 TheThreeTomatoes.com started as a newsletter for 60 of Cheryl’s midlife women-friends and contained subjects they talked about: where to go for dinner and have a conversation, where to get fashionable clothes that aren’t tailored for teenagers and other topics about living a good life as a grownup in NYC. Now, eight years later, Three Tomatoes is a thriving enterprise with over 12,000 subscribers, knowledgeable contributors and a new-in -2103 West Coast branch in LA. Dr. Nancy and Cheryl discuss how things were different when they started their careers. There were no other women to mentor them or serve as role models. Even though a woman has yet to occupy the top spot politically in the U.S., Cheryl points out that many women are serving on boards and making their voices heard. 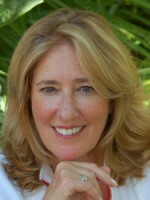 In fact, Cheryl points out that today when she looks around at groups of women, she thinks, “There’s a new boy’s group in town and it’s called the women’s power group.” She has a bird’s eye view of the situation in NYC, where she sees even traditionally male dominated fields, like finance, forming networking groups to support women and help them up the ladder. As past president of the NY Metro Chapter of US National Committee for UN Women and current board member, Cheryl is passionate about women’s responsibility to help other women. Whether it’s by serving as mentor or sharing our life skills and expertise in this country or reaching out to women in countries where their safety and rights are completely marginalized, we must help our sisters. Many women are doing just that. Dr. Nancy is planning a trip to Ethiopia and participating as a sponsor for the Convoy of Hope Women’s Empowerment Initiative. Cheryl tells a story about a woman she knows who has sponsored the building of wells and schools in Cambodia. Women are reaching out and sharing their wealth and good fortune more than ever before, but there is much more to be done. Check out the website for UN Women and their plans for the 20th year commemoration of the Beijing Conference where Hillary Clinton announced, “Human rights are women’s rights.” To date 189 countries pledged to do more and they have, but Cheryl says with 200 Nigerian girls still missing, there is much more work still to be done. Listen to this interview for much more information about the passion of these two leading women to help others and check out TheThreeTomatoes.com. It’s free and will let you know what the Tomatoes in LA and NYC are doing to live highly fulfilling and empowered lives. There’s a lot of power in words, and awareness surrounding the way common words can and do hurt women is on the rise. Banning bossy was just the beginning! Women need to be supportive and use words that empower one another, and look for ways to build each other up, not tear each other down. Longtime activist Gloria Feldt encourages women to embrace their power and take the lead in business and in politics. She became obsessed with the subject, when she was asked to write an article for Ellemagazine in 2008. She thought it would be a puff piece about women running for office (since our first woman U.S. president was possible at the time), but the opposite was true. Women were not stepping up to lead. There were many organizations spending millions of dollars to help them run for office but women weren’t accepting the challenge. Gloria blames the culture that raises women to be nice girls who want to be liked above all else. This causes women to play it safe and not risk jumping into the leadership arena the way men do. This applies not only to running for Congress, but also for climbing the corporate ladder to the C-suite. Why Do Women Fear Power? Gloria wrote No Excuses: 9 Ways Women Can Change How We Think About Power to give women the power tools they need to change the way they think about power. Women are ambivalent about power, and for good reason. They have been raped and abused and this has caused them to think in terms of power over rather than power to. She compares power to a hammer. You can use a hammer to build something or to break something apart. If you use power ethically and to make the world a better place, why not embrace it? She says that when women perceivepower as a tool to do something good, they gladly assume leadership roles. A self-proclaimed practical activist, Gloria says, “I want to fix things.” This is actually a feminine trait. Women are very good at fixing things. One of the things Gloria wants to fix is the lack of women leaders. She co-founded Take the Lead Women to help women reach parity by 2025. The website has many workshops, opportunities for digital networking and more. It’s a community of women helping one another to step into leadership roles. If you missed it, Gloria and Dr. Nancy want you to check out the Take the Lead Women launch, the inspiring event, which Dr. Nancy and 3,000 other people attended and over one million internationally watched on live streaming video. You can see it in its entirety with presentations by Sheryl Sandberg, Carla Harris and many other inspiring women leaders on taketheleadwomen.com. 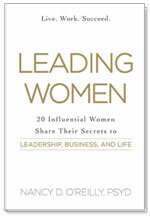 Be sure to check out Gloria’s website for more of her wisdom and advice and order your copy of Leading Women: 20 Influential Women Share Their Secrets to Leadership, Business and Life for more insights from Gloria and 19 other amazing women authors. This interview is full of women empowering advice from Gloria, who went from being a teen mom at 15 to become the President of the National Planned Parenthood Federation, where she served for 30 years. Her motto, “Just say yes.” Listen for much more. Janet Yellen, Ph.D., made history this month as the first woman ever to be chosen to head the Federal Reserve. According to some accounts, this makes her the second most powerful person in the world and the most powerful woman. The person who controls the purse strings of the most powerful economy affects economies world-wide. And even more noteworthy, the banking industry (notably dominated by suit-wearing white males) is being led by a woman. But Janet Yellen is not just any woman. Associates, fellow-students and acquaintances say she could have succeeded in any field that challenged her considerable intellect, but she switched from math to economics, because she saw it as a way to help people. Economics “set her on fire.” And after serving the Fed off and on for 36 years, she will assume the role of Director January 31, 2014. Would the World Be More Peaceful if Women Were in Charge? Do Fewer Training Opportunities Block Women’s Tech Careers? For Janet, the idea of helping people began in childhood. Like many children growing up in the 50’s, she heard the tales of the Depression from her father, who was a family doctor in Brooklyn. Not all of his patients could pay, so she became personally aware at a young age of how economic circumstances, like joblessness, affected people in her lifetime, not just the Great Depression. Janet’s peers in high school marked her for success. She was voted class scholar and was editor of the school newspaper, valedictorian of her senior class and had that quality people recognize as necessary to achieve something memorable. She found her passion in her first economics class at Pembroke (then-women’s section of Brown University). The rest of her education and career reads like a blue print to head the Federal Reserve one day. She received her Ph.D. in Economics from Yale, studying under her mentor, James Tobin, Nobel Laureate and author of the idea “that governments could mitigate recessions”. She taught at Harvard, the London School of Economics and the Haas School of Business at UC Berkley. While a staff economist for The Federal Reserve, she met her soul mate. In less than a year, she married a fellow economist doing research for the Fed, George Akerlof. Their work together in economics has earned them the title of “power couple” in their field and established pre-eminent ideas taught in classrooms today. But their careers took different turns when Janet returned to the Fed in 1994. George commuted between Berkeley and Washington. And she when became Chief of Clinton’s Economic Advisers, Akerlof took leave to help with household chores and raise their son, Robert Akerlof, now professor of economics at University of Warwick in England. Janet began her uninterrupted service to the Fed in 1994, with President Clinton’s appointment to The Board of Gov ernors. She was recommended by her long-time colleague from Berkeley’s Hass School of Business, Laura D’Andrea Tyson. 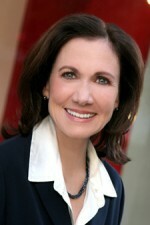 Laura was chairperson of the Council of Economic Advisers, which made her Clinton’s top economist at the White House. Prior to being appointed to head the Federal Reserve, Forbes listed her as #72 on its most powerful people list. She has been formulating economic policy for decades. And her insights have shaped how the Fed operates today. She “spearheaded the 2% annual inflation rate” goal to maintain a healthy growth rate in operation since 2010. Her peers in the field describe her arguments as well-reasoned, factually-based, frequently presenting unarguable analysis that does not anger or demean her opponents. They also maintain that in spite of her soft-spoken Brooklyn-accented delivery, she is fearless in presenting her beliefs and courageous in the face of opposition. Janet’s friends and associates also depict her feelings about unemployment as deeply personal. She does not equate the numbers with some elevated academic theory that doesn’t relate to the real world. Instead, she knows from her childhood experience and subsequent research how joblessness can disrupt families and ruin lives. Therefore she subscribes to the role of the Federal Reserve as an activist in its relationship with the markets and the banks. She is the first such economist since Paul Volcker served under President Carter. There is some argument about how much the Fed can control inflation. But as the only bank that makes money and controls the source of that money to other banks, it’s in the driver seat of the economy right now. Janet has sworn to continue the balancing act of the policies under Bernecke and proceeding with the goal of maintaining 2% annual inflation. Like everyone, she would like to see unemployment decrease and Americans go back to work pursuing their dreams. Unlike everyone, she has spent decades researching how wages affect productivity, the effects of poverty on economies, etc. 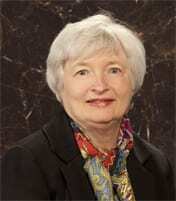 and has the determination, the heart and the position as Chairwoman of the Fed to make a difference. Many observers predict that there will be little change, since she has occupied a prominent place at the Fed for two decades. Some people worry that she will be too conservative as a “dove” at the Central Bank, others worry that she will completely change the face of world-wide economies. The fact anyone is worried at all shows how much the Federal Reserve affects everyone’s lives. So far no one has worried that she is a woman or that she is 67 years old. Janet reportedly perceives herself as “being in the prime of a late-blooming career.” But with her considerable academic credentials, including being a Guggenheim Fellow in the 80’s and authoring/co-authoring several papers and a book on macroeconomics, and her 36 years of service to the Fed, she is not exactly late blooming. She is an example for what dogged persistence can and should do for a gifted intellectual who wants to make a difference, regardless of gender. All “firsts” get noticed and their careers and performance are closely watched. As the appointed head of the Fed, Janet Yellen will not be noticed for her gray hair, or whether she got her lipstick on straight. She will be judged by whether or not people are able to return to work and if the U.S. is able to return to the perceived prosperity of the 90’s. Equally important is what her position means for girls who are good at math. Her career points the way toward possibility. A girl who is smart and good at math and science should not hide her light under a bushel, as our grandmothers used to say. She should use her gifts, follow her passion and not let anyone discourage her from making a difference or even trying to change the world. 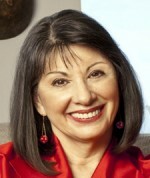 Join dynamic leader Gloria Feldt for a webinar that will change your relationship with power forever. Her new organization Take The Lead Women has a mission to help prepare, develop, inspire, and propel women to take their fair and equal share of leadership positions across all sectors of our society by 2025. To succeed in business a woman needs to be “wise as a serpent and gentle as a dove,” says amazing guest Molly Mahoney Matthews. Today Molly is the CEO of The Star Fish Group, and she attributes her success to crisis. Adopting the attitude of “I’m Unsinkable” she turned each crisis into opportunity. One key bit of advice, “Take the top job.“ When asked by a college if she’d rather be Chairman of the Board or Vice-Chair, she picked Chairman, because it’s important for students to see a woman at the top. Hear wonderful ideas about women in leadership roles and qualities that hold women back. Young women need mentors and they need to see the subtle ways they are being kept at desks far below the C-suite. Today it’s hard to name the prejudice since it’s much less overt than in the 1980s. It’s like “death by a thousand cuts,” slicing away the power to lead, which young women must claim to be successful in business today.